Letter Fridge All Level Answers, Cheats, Solutions for iPhone, iPad, Android and other devices with screenshots for you to solve the levels easier. This game is developed by Candywriter, LLC. Play with magnets on the fridge to form hidden words. Have fun with the physics of the game, and at the same time improving your vocabulary. 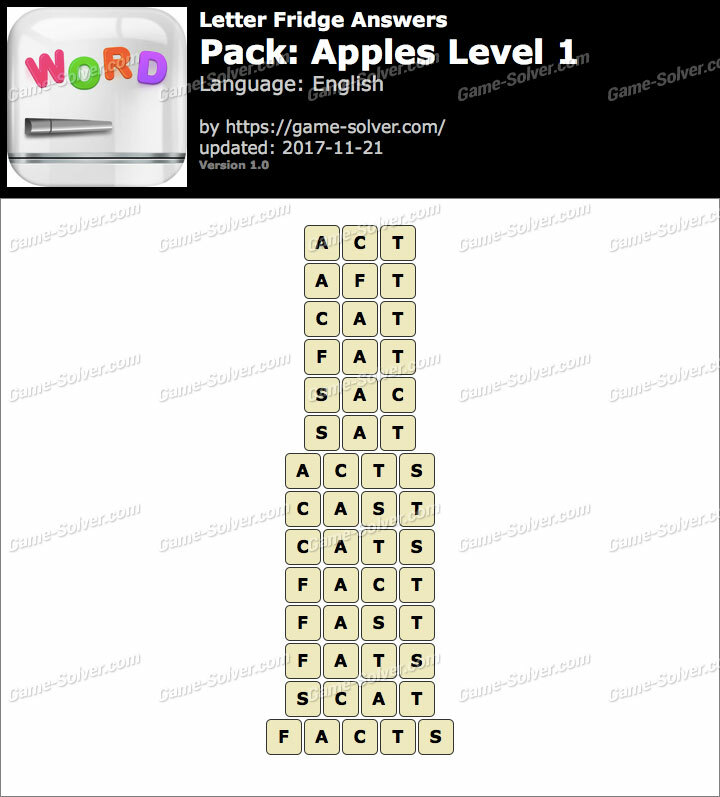 These are the answers for Letter Fridge Apples Level 1 with Cheats, Solutions for iPhone, iPad, Android and other devices with screenshots for you to solve the levels easier. This game is developed by Candywriter, LLC.